My reasoning was that the current code is not worth changing without strong profiling data showing measurable gain in real-world use cases. That's all. It does a "x*3". On many processors that's best implemented as "(x<<1)+x". So while it theoretically works, using nine integer operations, in practice it's unusable. Oh, your function produces the exact same values as in the glib table BTW. That's good. It's basically a negation followed by a log2 straight from bithacks, followed by a table lookup. I particularly like the beautiful final constant. I leave it to others to measure if this is faster than the lookup-table in glib. Enjoyed working this out though. Everyone, go crazy, shove a few ops off! While at that, also check out What’s Going On With Red Hat Desktop Systems? An Update. The list in there just doesn't do justice on how important a role Red Hat's Desktop team plays in advancement of the Free Software desktop and laptop experience. With recent hires like Matthew Garrett, Richard Hughes, and William Jon McCann, you know how serious we are about doing the Right Thing. I feel so privileged to be part of that. So, on Saturday, I did it. Reached my goal by raising $253.67 in about 36 hours, and climbed the 144 floors up in just short of 19 minutes. Thank you all who sponsored me. It means a lot to me! I woke up at 8:30, took shower, and walked down to the tower. Had my power bar and energy drink, checked in, and ready to go. Had to wait in line for an hour to start. The climb was pretty smooth. I'd never done stairs before. It was easier than I expected. The stair machine in the gym is nothing close to the real thing. I started by running up. Before I knew I was at floor 30. Then slowed down to my steady speed, keeping a constant heart-bit rate. Floor 60 to 70 was crowded so had to slow down a bit. 70 to 110 was a bit breathtaking, but ok. 110 up was counting down the floors and before I had a chance to start running to drain my remaining energy I was already at the checkpoint. Worst part was that we had to do another 11 floors after the checkpoint to reach the common area. That was hard. Was a great day. I spent the rest of the day walking around downtown, having brunch with friends, and otherwise enjoying the sun. Good times. Help save the world and enjoy! 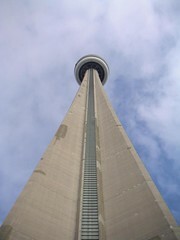 On Saturday I will climb the tallest free-standing structure on land in the world as part of the 18th Annual Canada Life CN Tower Climb for WWF-Canada. I will be climbing 1776 step in my TEAM GNOME tshirt, aiming for 25 minutes, and with a goal of raising $250 by tomorrow (Friday 18th) night, to help stop global warming. So here is your chance to help save the world and enjoy while I'm suffering. Sponsor me now! You guys are all certainly wrong. Liked this one enough to bother. 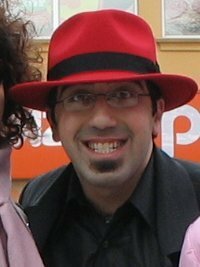 Where ll is the Red Hat / Fedora alias for ls -l, and makenull is my alias for make >/dev/null.